On the morning of May 28, 1918, the Americans made their first offensive in the Great War by attacking the German-held village of Cantigny, located some 70 miles north of Paris. Leading the attack was the 28th Infantry Regiment of the U.S. First Division--the "Big Red One," as they will come to be known. From the beginning, I knew that Cantigny would be central to the novel, Lilac Wine. Over the last year, I have done much reading about the battle. But I needed to know more. Today, I took a trip to the research library of the First Division Museum in Wheaton, Illinois. The museum is located on the estate of Robert McCormick, the one-time publisher of the Chicago Tribune and a veteran of World War I. He renamed his estate after that famous battle and, according to his will, had it dedicated as a public park after his death. The research library, which is open to the public, houses artifacts, pictures, diaries and all things military. There, I discovered some treasures that have helped me shape the narrative of Lilac Wine. 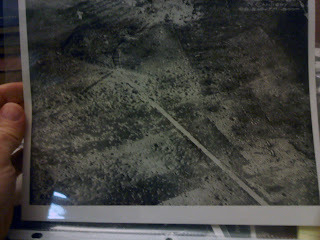 Aerial view of the Battle of Cantigny. 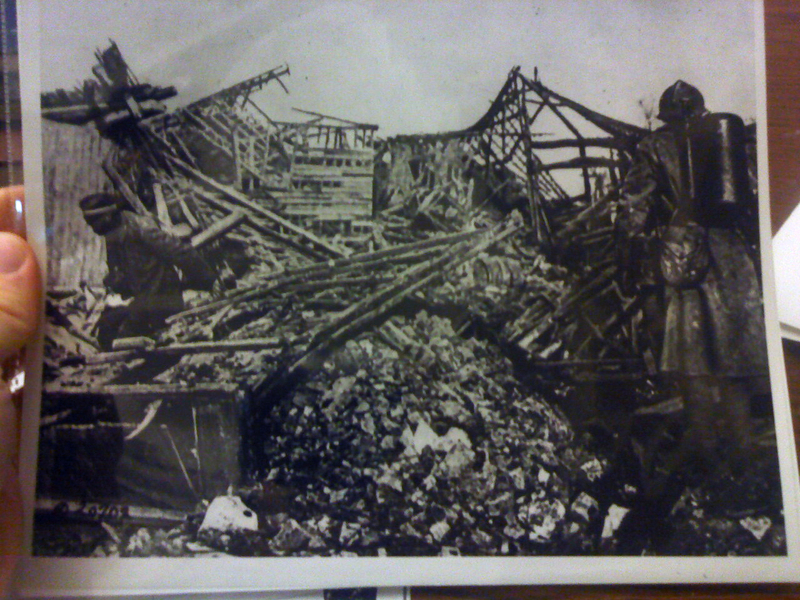 German soldier emerging from the ruins of Cantigny. Wounded American soldier at Cantigny. 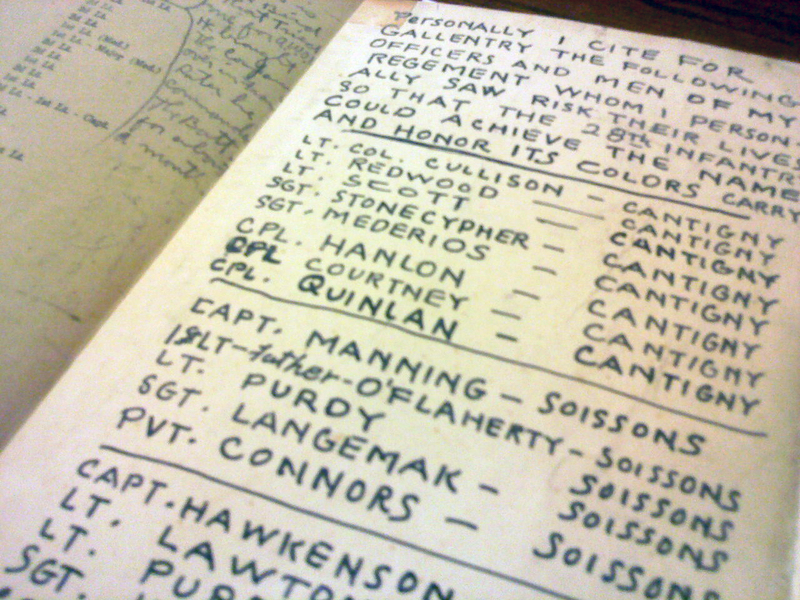 But the most notable find was a history of the 28th Regiment annotated by a soldier who had been there. His annotations give a glimpse into the battle that texts cannot recreate. The soldier's name was Floyd Henry Weeks. He served in M Company of the 28th regiment. 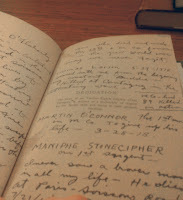 The book dates from 1920 and the annotations are in pencil and ink. 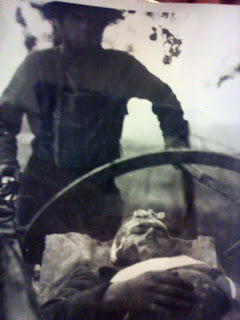 Here is what he says about Martin O'Connor: "The 1st man in M co. to give up his life. 3-28-18"
And Maniphe Stonecipher: "I never saw a braver man in all my life--he died at Paris-Soissons Road 7/21/18 after attacts [sic] against machine guns that were holding up everything on the third day of the Ainse Marne offensive." According to Weeks, Robert Purdy was "a prince. Killed at Soissons." 2nd Lt. William Payne was "some guy. A heartbreaker with the froulines. Boy, I'll bet when he gets home he'll have some explainin." He called Major Willis Tack "West Point Willy." Gerald Tyler was "a good scout and a fine officer. Never gave you hell and always furnished an alibi for you." It's one thing reading about a battle. 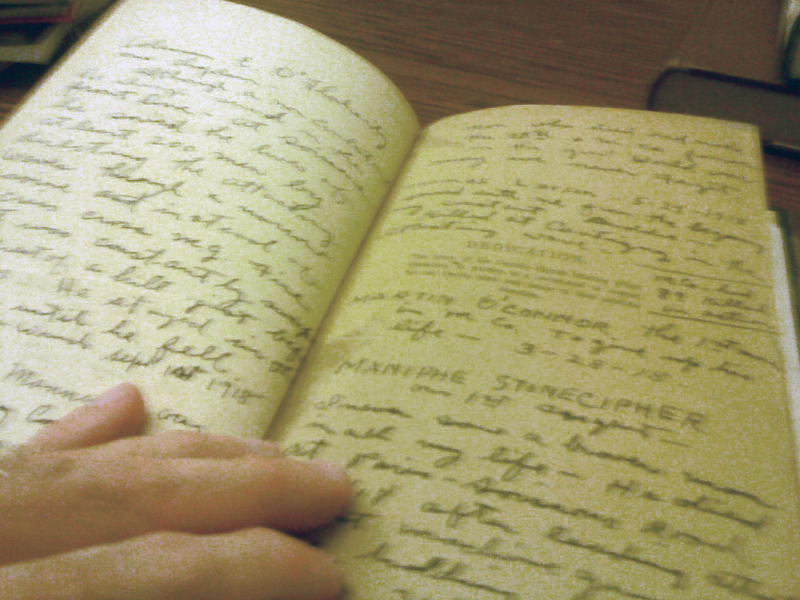 But reading the notes from a soldier scribbled in his own hand adds a different dimension to the story. The people become more than just names on a fading page. They become real. Thank you, Floyd Henry Weeks. During the assault on Cantigny, 199 doughboys were killed, including 13 officers. 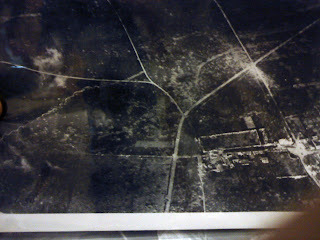 652 men were wounded. 200 men were gassed and 16 men went missing and were never found. Beating all expectations, the Americans held the town. The First Division Museum, located in Wheaton, Illinois, is a great place to visit. It is one of the best museums in the area. There, you can walk through the ruins of of Cantigny and visit a reconstructed World War I trench. You can walk the beaches of Normandy and the jungles of Vietnam. For more information, click here. 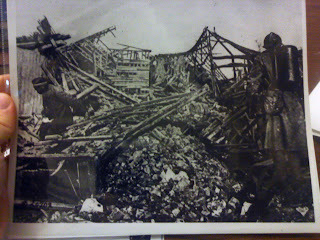 My grandfather, O.K.Shell, was also at Cantigny and was wounded on May 29, 1918. Any mention of him in your findings? Wow. No, I had a list of all of those present at Cantigny. I don't recall that name--there were thousands, after all. 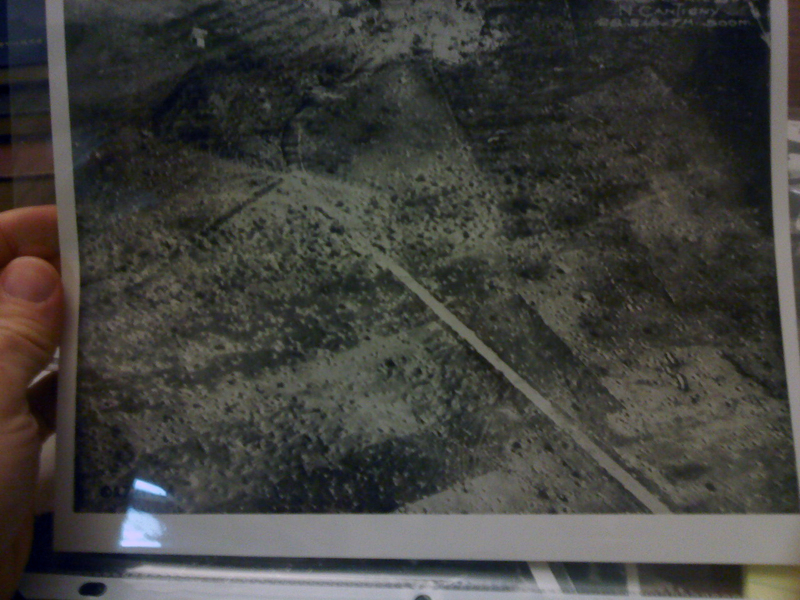 I plan on going back to Cantigny in Wheaton to do some more research in future, I'll let you know. If you are ever in the Wheaton area, I suggest going to the research library. There might be something there...Was he in the First Division?